Recently, Hireology was fortunate to speak and present at the DrivingSales Presidents Club 2016 event as a finalist for the Most Valuable Insight Awards. As a way to present our ‘most valuable insight,’ Hireology presented the findings from an in-house study on how effective employment branding drives quality hires and improved store performance at dealerships. After conducting our research, we found something to be true across all retail automotive dealerships: your employment brand matters. The insight: Strong employment branding, when combined with a data-driven evaluation process, is one of the best investments a dealership can make. When dealerships build a strong employment brand and utilize process to manage the recruiting and hiring effort, the results are staggering. While conducting our research, we studied two control groups (for easy reference, I’ll refer to these groups as ‘Group A’ and ‘Group B’). Group A consisted of a six rooftop dealer group from the Mid-Atlantic region and Group B was composed of a three-rooftop group located in the Midwest. Management teams were surveyed electronically, which covered their approach to employment branding and recruitment process, as well as their results from such efforts. Therefore, we knew that there must be a correlation between the way dealerships present themselves as employers to today’s younger workforce online and the costly effects of their staff turnover. In this analysis, ‘candidate’ is defined as someone who has applied for an open position via the career site, and who has been deemed qualified first review such that a next step (like an interview) is warranted. What we found was that nearly 94% of candidates who applied for an open job were attributable to a paid job board, versus organic traffic attributable to a career site. Our analysis of the data showed that 77% of all hires made resulted from organic traffic generated by the dealer’s career site, versus job boards. This insight, when combined with conversion rate and candidate source data, show that even though organic traffic attributable to a dealer career site generated just 6% of all candidate traffic, this cohort produced a whopping 77% of all hires made. In other words, 6% of traffic generated 77% of hires. Our analysis defined ‘quality hire’ as ‘a hire who was able to meet or exceed 75% of their states production or performance target.’ In sales roles, this might be a monthly vehicle unit sales quota, for example. When controlling for the candidate source, 75% of all ‘quality hires’ made originated from the candidate pool generated via organic career site traffic. 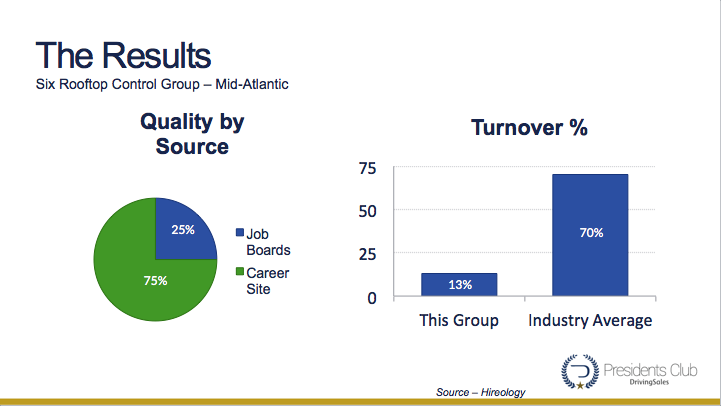 Just 25% of quality hire made originated from a paid job board. 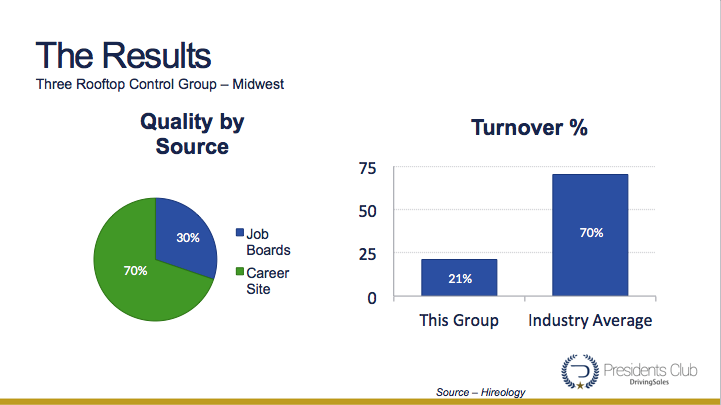 Most importantly, the results show that turnover rates diverge substantially based on cohort. 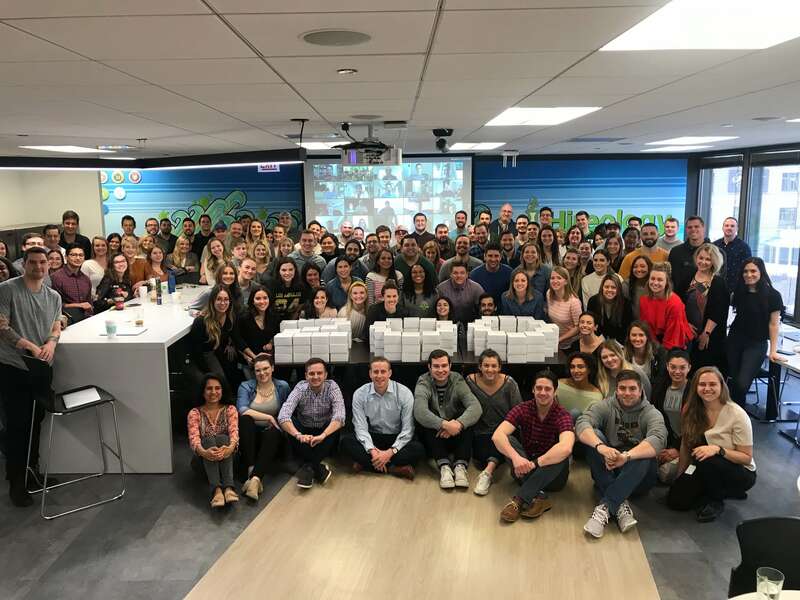 The new variable ops hires that originated from an candidate attributable to a branded career site turned over at a rate that’s two-thirds less than than the industry average. In this analysis, we defined ‘candidate’ as someone who has applied for an open position via the career site, and who has been considered qualified first review such that a next step (like an interview) is warranted. We found that nearly 82% of candidate who applied for an open position were attributable to a paid job board, compared with organic traffic attributable to a career site. 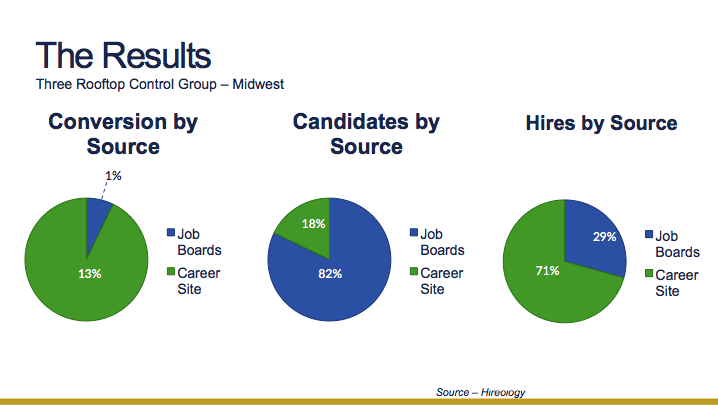 Our analysis of the data showed that 71% of all hires made resulted from organic traffic generated by the dealer’s career site, versus job boards. This insight, when combined with conversion rate and candidate source data, shows that even though organic traffic attributable to a dealer career site generated just 18% of all candidate traffic, this cohort produced a whopping 71% of all hires made. In other words, 18% of traffic generated 71% of hires. As previously mentioned, we defined ‘quality hire’ as ‘a hire who was able to meet or exceed 75% of their states production or performance target.’ For example, in sales roles, this might be a monthly vehicle unit sales quota. When controlling for the candidate source, 70% of all ‘quality hires’ made came from the candidate pool generated via organic career site traffic. Only 30% of quality hires made came from a paid job board. What’s essential here is that the results show that turnover rates deviate significantly based on cohort. 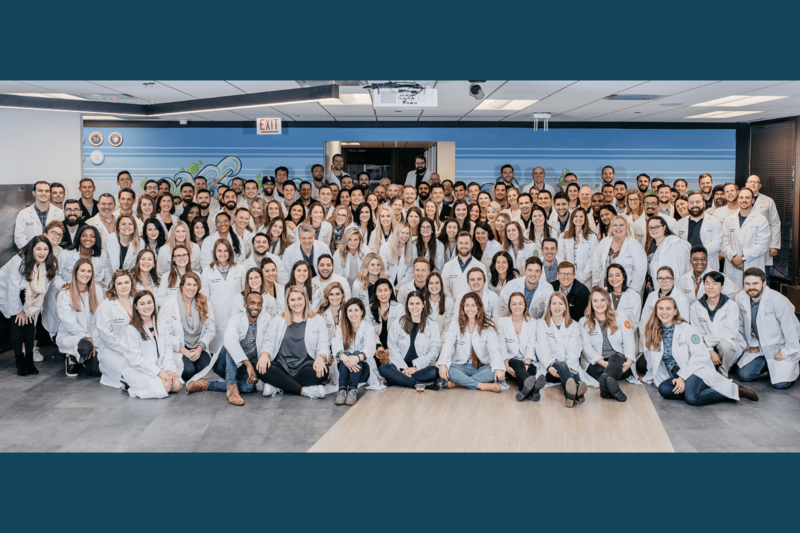 The new variable ops hires that came from a candidate attributable to a branded career site turned over at a rate that’s nearly 50 percent less than the industry average. Retail automotive dealers that want to build better teams and reduce turnover should invest in employment branding, and should integrate a data-driven hiring process. 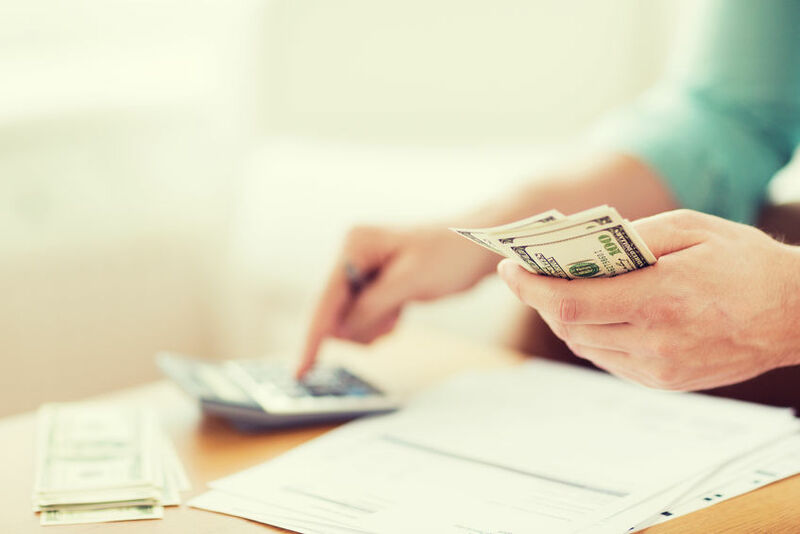 The financial benefits of such an approach far surpass nearly all potential operational improvements through which dealers can generate a return on investment. That’s a profit add-back of $368,000 per store per year. Dealers are hard-pressed to figure out a more straightforward way to generate a higher return in this amount of time. The bottom line is that dealers must take charge of the hiring challenge by taking control of the hiring process. Strong employment branding, when combined with a data-driven evaluation process, is one of the best investments a dealership can make. If you’re not already taking this approach, it might be time to reconsider the way your dealership hires employees, because your employment brand most definitely matters.